Since 2011, The Fort Wayne Children’s Choir has supported a regional children’s choir in Whitley County. 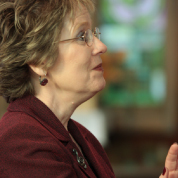 Becky Walter, the director of the Whitley Community Children’s Choir since 2013, has retired. Walter joined the Whitley Community Children’s Choir first as an accompanist in 2011. During her tenure, not only has the choir grown in participation numbers, but in impact as well, earning the “Jewel of the Community” award from the Chamber of Commerce in 2016. The FWCC is pleased to announce Denise Gilliland as our new Whitley Community Children’s Choir Director. Gilliland is the Artistic Director of the Children’s Choir of Huntington County and was previously the Artistic Director of the Lafayette Children’s Choir. In addition to her work in Huntington, she has been substitute teaching for area music teachers. 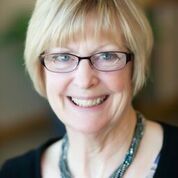 Gilliland began her teaching career in the Houston, Texas area in 1982, marking this, her thirty-fifth year teaching children and youth. Her earliest experiences were rich with multiethnic students who helped to shape her appreciation for the uniqueness of every child and culture. She is a frequent clinician for Circle the State with Song festivals and has presented at the Indiana Music Educator’s convention. She was recognized as “Most Outstanding Elementary Music Educator” by IMEA in 2011. Her arrangement of “And the Angels Sang” was published by Hal Leonard Corporation and premiered by the Indianapolis Children’s Choir. Gilliland’s earned a master’s degree in choral conducting at Butler University. As a certified Kodaly music educator, she studied privately with renowned conductors Henry Leck and Eric Stark. She resides on her grandfather’s farm in Whitley County with her husband Mark, son Weaver, and grandson Matthias. The Whitley Community Children’s Choir also has a new accompanist. Matt Johnston, a FWCC alumnus, has been active in choral music for over 20 years. 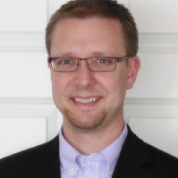 After graduating from IPFW with a degree in Choral Music Education and majoring in organ, he has taught music in public, charter, and private schools in Fort Wayne and Kendallville. In addition, he has led church music ministries for 16 years and currently serves as the Minister of Music and Organist at Suburban Bethlehem Lutheran Church and School where he plays the organ, and directs 3 adult choirs, 2 handbell choirs, and 4 children’s and youth choirs.